Aromas of stone fruit with hints of fresh cut hay along with notes of kiwi fruit and citrus blossom come forward from this wine. On the pallet, flavors include tangerine, muddled thyme and hints of almond all balanced with crisp acidity, leading to a lingering finish. Categories: Country - United States, Region - California, White - Sauvignon Blanc. 2014 Mutt Lynch Fou Fou le Blanc!!! This is a wine that is a perennial portfolio favorite. Beautifully balanced, delivering a freshness that comes from near perfect acidity. Super fans are always delighted with the melon, pear and citrus flavors. Newcomers find the style a revelation; one that often results in a reawakened appreciation for Chenin Blanc and Sauvignon Blanc. Style, elegance and a fresh approach — that's 2014 Fou Fou le Blanc, White Wine. 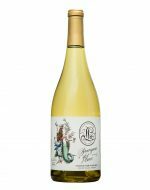 The Leah Jorgensen Sauvignon Blanc 2016 is delightful and refreshing wine and atypical in all the right ways. Intensely aromatic, it conveys a lush mix of honeysuckle, sweet hay, smoke, lime and honeydew melon. And that's before you take the first sip. The low alcohol and bright acidity set it up for a wide range of poultry, pasta and seafood options, and anything with goat cheese is sure-fire. Perfect with Spinach Salad and Warm Goat Cheese. The pure varietal character shines through on the La Playa Sauvignon Blanc 2017. The wine is a delicate pale gold. On the nose, aromas of lemon, fresh pineapple with hints of lavender. 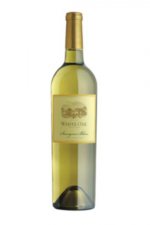 It is a bright well balanced wine with a clean minerality and touch of lime on the finish.